Over the past years, consumers have experienced considerable and consistent improvements in the range, scope and cost of communications services available on the market. These developments are having a lasting social impact and have effectively given rise to an increased dependence on modern, high-end communication services. It is in this context that we remain committed to provide you with the information and assistance you may require in choosing the services that are most suited to your particular needs. In this section, you will find sector-specific guides for all communication services, namely fixed and mobile telephony, internet, television, postal services and eCommerce. For further information on such services you may also wish to visit the FAQs section. This is a phone network over which telephone service providers route all phone calls over a specifically built network using 'switching' technology. This refers to the worldwide 'plain old' telephone system used for exchanging phone calls. This is a technology that carries calls over the Internet or through any other Internet Protocol-based network, instead of going through the PSTN. 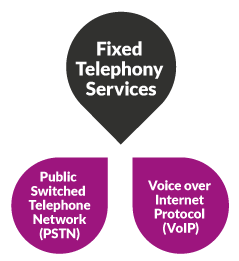 Note that the main distinction between these two types of telephony services, from a consumer's perspective, is that VoIP services require mains electrical power supply and an internet connection in order to work, whereas the PSTN does not. This means that, with a VoIP service, in the event of failure in the main electrical power supply, you will require a power battery backup or an uninterruptible power supply (UPS) to ensure continuity of service. Note, this also applies to customers using cordless phones, as these phones also require an electrical power supply to recharge and operate. This stands for Second Generation Network. This type of network, sometimes also referred to as GSM (Global Systeme for Mobile Communications) network, is a digital network which allows mobile phones to communicate via voice and SMS. The GSM network can also offer digital data services. An enhancement of the data connection offered by the GSM network is offered by the GPRS technology (General Packet Radio Service Network), also known as 2.5G. GPRS offers data connections between 56kbps and 114 kbps. This stands for Third Generation Network. 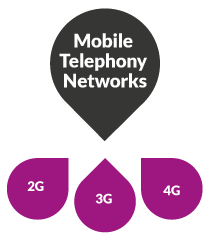 In Malta, mobile telephony service providers have 3G networks with nationwide coverage. Like the 2G network, a 3G network is able to offer voice and messaging services. However, 3G network is also able to reach higher data download speeds of up to 385kbps. These speeds allow for an enhanced experience when connecting to the Internet. An enhancement of the data service offered by the 3G network is the HSPA (High Speed Packet Access) technology which is also referred to as 3.5G network. Such networks offer even higher speeds than 3G networks. Note that phones are designed to work on specific networks and generally, a phone which works on a specific network will not work on a more advanced network. In this regard, phones that work on 2G and 2.5G networks, will not work on a 3G or 3.5G network. However some 3G / 3.5G phones will also work on 2G and 2.5G networks. The term 4G stands for Fourth Generation Network. In most countries, including Malta, LTE (Long Term Evolution) has been the technology of choice to offer 4G capabilities. LTE aims at being more resource efficient than its predecessors 3G and 2G. It is therefore able to offer users with a mobile broadband internet connection which is faster and more reliable to those devices which support the technology. Like all mobile broadband connections, the speed that one can achieve will depend on your signal level and coverage. It is important to note that in order to benefit from 4G internet service one requires a 4G enabled device. If you are going to use the internet service in a particular location such as at home, you require a fixed type of internet service. 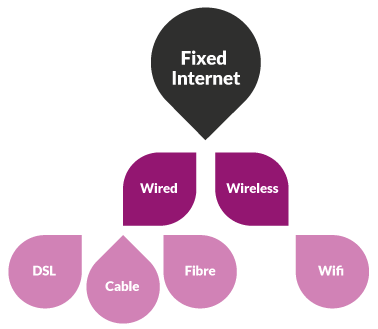 There are two types of fixed internet connection: wired through an Ethernet cable or wireless connections (also known as WiFi). the way that data is delivered over the Internet requires the collaboration between a number of networks which belong to different parties. The more networks are involved in the delivery of the data, the slower the speed that can be achieved. DSL stands for Digital Subscriber Line: DSL is a family of high-speed broadband technology delivered over the telephone lines installed at your home/business. DSL services allow voice and data to share the same infrastructure and usually require a splitter at your premises to separate voice and data traffic from the line. To date, the speeds offered on the local platform can reach 35Mbps. CABLE BROADBAND: This is a high-speed Internet service provided over the cable network, using the same cable (known as coaxial cable) used to deliver television services. This service requires a cable modem connected to your computer. To date, the service offered using this technology reaches the 100Mbps. FIBRE BROADBAND: This technology permits broadband internet to be delivered to your premises through fibre optic wires, which are very thin strands made of plastic or glass. Fibre broadband technology can offer broadband speeds which can be even higher than the DSL and Cable technologies. This technology is being rolled out in the local market and therefore before subscribing to this service it is important to confirm whether this service is available in your area. This is a high-speed Internet service transmitted using wireless technology. This type of broadband service is not available from a single fixed point but from anywhere within a specific area. Note that the device used to connect to the wireless connection has to be used within a particular area. WiFi is a good example of wireless broadband connection. WiFi stands for Wireless Fidelity: WiFi can be availed of in conjunction with any broadband service, including: DSL and Cable. With this type of internet connection, you will not need to connect your laptop to a network cable to access the Internet from different places in your house/office. To set-up a WiFi system, you will need to install a wireless modem, similar to a normal modem but having an incorporated antenna in addition to the standard connection. Your internet service provider may offer a wireless modem, however you may also purchase a wireless modem from any retail outlet selling such modems. Most wireless modems provide coverage (where the signal can reach) of about 100 feet (30.5 metres) in all directions. This area is usually referred to as a 'hotspot'. Note that any obstruction between the WiFi hotspot and the wireless device (laptop, smartphone, etc) such as walls and doors will weaken or block the signal and thus reduce its range. If you wish to have a WiFi connection in large premises, you may need to have more than one WiFi hotspot to obtain coverage. people wishing to carry out illicit activities online may use your connection to do so and it will be very difficult for you to prove that you were not involved in the activity. To access the hotspot, you will either need a device with a wireless adapter which can be either in-built (common in laptops and smartphones) or as an external device you can attach to your computer. You can also find WiFi hotspots in offices, coffee shops, Internet cafes, libraries and so on, where you will be able to access the internet with your laptop or other wireless device in that particular area. Note that such hotspots may be offered at a charge. The Malta Communications Authority, together with other entities, offers access to free WiFi in various areas around Malta and Gozo. This is known as ‘over-the-air’ television. It makes use of a network that transmits wireless signals that are received using a conventional rooftop television antenna normally referred to as an aerial. Terrestrial broadcasting is transmitted only in digital format. TERRESTRIAL DIGITAL TV – ‘free-to-air’: To view the Maltese ‘free-to-air’ channels, you will need a UHF aerial and either a digital terrestrial set-top box (STB) or a digital TV set. Further information on free-to-air TV services is available in the FAQs section. TERRESTRIAL DIGITAL TV – Pay TV services: Apart from having a rooftop antenna and a set-top box you will also need a smart card (to be inserted in the set-top box) to view channels that are not ‘free-to-air’. When subscribing to a TV service, you will be able to watch more channels other than the free-to-air channels and make use of the electronic programme guide. Furthermore, you may also benefit from high-definition (HD) channels and interactive features. The subscription to these features is subject to an additional cost to your package subscription. This is transmitted via a cable network connected to the premises; therefore no antenna is required. 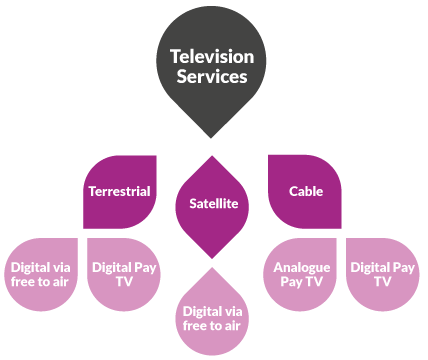 CABLE ANALOGUE – PAY TV services: These are services transmitted to you in analogue format and connected to the cable network. This subscription will not require the installation of a set-top box. CABLE DIGITAL TV – PAY TV services: These are services transmitted to you in digital format, where you will require a digital cable set-top box to be connected to your existing TV set and to the cable network. The subscription to a Cable Digital TV service is subject to a cost depending on the TV package you are subscribing to. When compared to analogue cable TV, digital cable TV packages provide more channels, better picture quality, superior stereo sound and the possibility of using the electronic programme guide. Furthermore, you may also benefit from high-definition (HD) channels and interactive features. The subscription to these features is subject to an additional cost to your package subscription. This is transmitted via a communications satellite and received by an outdoor antenna commonly referred to as a satellite dish. Satellite broadcasting is transmitted in digital format. In order to view the free-to-air channels transmitted via satellite, you will need a satellite dish and a satellite receiver which normally is in the form of a set-top box. 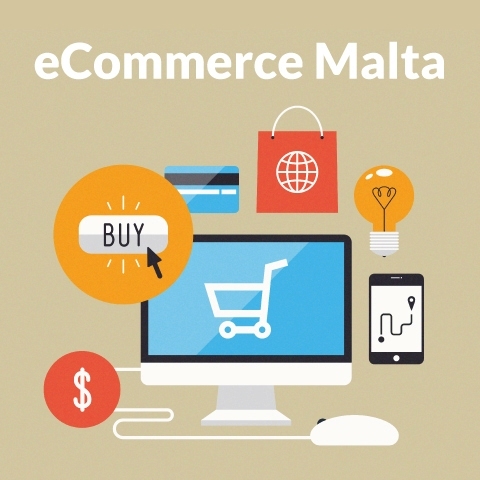 The MCA is responsible for supervising the Maltese eCommerce sector, that is, the selling of goods and services over the internet. In this capacity, the Authority is responsible to ensure that providers of electronic commerce services in Malta are compliant with the relevant provisions of the Electronic Commerce Act (Cap 426). This includes all local mail posted in letter boxes (red colour) distributed around Malta. When posted before 1900hrs between Monday and Friday and 1500hrs on Saturdays, these will be processed on the same day and delivered on the following working day. Also known as outbound international mail, when posted before 1900hrs between Monday and Friday and before 1500hrs on Saturday in the Maltese Islands is collected, processed and dispatched to its destination (loaded on aircraft) on the following working day to any EU country, Australia, Canada, USA, Brazil, Israel, Japan, Ukraine, Iceland, Switzerland and New Zealand. Mail to the rest of the countries is sent on a twice-weekly schedule. One should note that international postage rates vary. One may refer to the airmail country zones on MaltaPost’s website or contact customer care for the current rates. Bulk postal articles shall refer to postal articles consisting of 50 items or more pertaining to the same postal service, being of identical format, size and of the same weight step may be deposited without affixing any postage stamps. 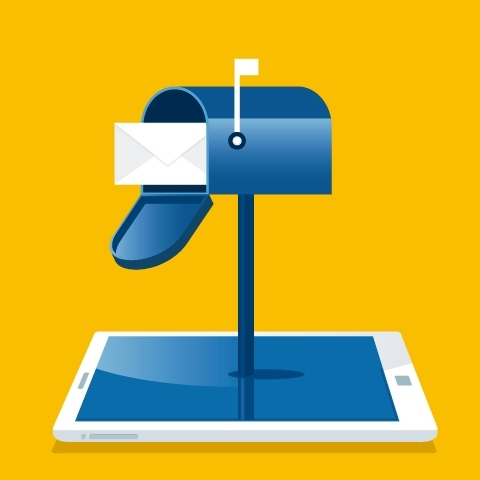 If you need proof that a postal article has been delivered, whether locally or overseas, you would need to use the Registered Mail Service, which requires the signature of the recipient upon delivery of the postal article. When you are posting a parcel, make sure that all items are properly wrapped. Soft items, like small items of clothing, can be mailed in padded envelopes, or in what are commonly known as Jiffy Bags, that are stocked by leading stationers. When delivering parcel post, you will need to fill up certificates and documents as may be required by the law of the receiving country or as otherwise directed by the postal operator. In all instances, you must give a detailed description, which must be clearly visible, of the item/s you are mailing. You should also affix a CN 22 form (customs declaration form) on postal articles not exceeding the value of 300 SDR (approximately €337.45) and a CN 23 form in the case of postal articles exceeding the value of 300 SDR. Publications falling within the definition of newspaper post are transmissible by post at specially reduced rates. Such publications must be printed locally and must be prominently marked as “Newspaper Post”. You will need to fill in the relevant form as provided by the service provided and pay an annual fee. Publications should be wrapped or enclosed in such a way that the contents can be easily examined without damaging the envelope or contents. Express mail sent through express mail or courier service providers are accelerated postal services characterised throughout by a degree of speed, tracking and managerial control that exceed that applied to the fastest standard category of the basic universal letter post and parcel services. The distinguishing characteristic of a courier service provider is that it focuses on the delivery of express postal articles in which the postal article is in the possession of an employee of the company at all stages of its journey. Express mail services are ideal for those who require fast and secure worldwide delivery of mail, be it for important letters, documents or parcels. If you are moving house or business, you may wish to avail yourself of a Redirection Service to ensure that your mail is delivered to your new address. You would need to fill in an application form, which can be downloaded from the service provider’s website or collected from any Branch. The form must be signed by the person or persons to whom the postal articles are addressed and the individual presenting the redirection form should also present the identity cards of all the individuals listed on the said form. A request for the redirection of mail is valid for one year. If your business outlet is closed for shutdown, or if all family members are away for a limited period of time, you may wish to opt for the Temporary Mail Custody Service. Your mail will be held at the postal operator’s offices for a maximum period of two (2) months. The relative form must be filled in and handed in personally at one of the service provider’s branches against presentation of your I.D. card. Collection of held mail will also be against presentation of a recognised form of identification. If you would like an alternative address to receive your letters and packets, you can choose to rent a P.O. Box at your local Branch and collect your mail during normal retail hours. Rental charges are applicable on a yearly basis, depending on the size of the P.O. Box. A one-time, refundable deposit is also made on the key. You can download a form from MaltaPost’s website or fill one in at any Branch. You will need to fill in part of the Money Order form and the rest is completed by the Counter Clerk. On the other hand, Postal Orders are only available in Pounds Sterling because they are issued by Royal Mail. It is a service that is only available to countries within the Commonwealth. Although not illegal, it is advisable that one does not send cash by mail. If you have no alternative option it is recommended that you insure the mail item. Should you wish to avoid buying and affixing stamps, it is possible to buy envelopes, with a pre-printed stamp. These are available from any Postal Branch. These envelopes are available, in white or window format, and can be customised too. Each pack contains 20 envelopes. These Postage Paid Envelopes can only be used for local postage.